The cofounders of Baker Creek Heirloom Seed Company, Jere and Emilee Gettle, offer readers The Heirloom Life Gardener , a book about their adventures in gardening with heirloom seeds. Subjects covered include their backgrounds and history, the case for using heirloom seeds, steps for getting started in growing vegetables, saving seed, and an A to Z growing guide. 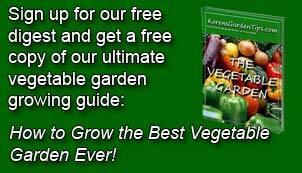 With the aims of providing a jumping off point and sharing the pleasure they get from a $2.00 packet of seeds, the authors cover the basics in a earthy way that may captivate the imagination of even a reticent gardener. The early chapters of the book focus on the early childhood of Jere and his love of vegetable farming, his world wide travel to obtain seeds, and the establishment and rise of the Baker Creek Heirloom Seed Company. A presentation of general vegetable gardening techniques stressing organic practices is followed by a discussions about techniques of seed saving and the potential for growing organic vegetables in an urban environment. The bulk of the book is devoted to detailed information about fifty specific vegetables from amaranth to watermelon giving information on history, growing tips, pests and disease problems and cures, seed saving, nutritional value, and use in the kitchen. Did you know that eggplant can be made into cake? or that radish leaves are delicious both stir-fried or sauteed? A photograph of an heirloom variety of each are included but very little specific information is provided, a big disappointment for me, especially in regard to tomatoes, but of course, you can go to their website or catalog and find out what is available. Insets provide additional information on everything from obtaining mulch to getting a permit to import seeds. If you want a folksy approach to gardening with heirloom vegetables, this book is a gem. It is written in a friendly style, and has abundant photographs of Jere and his family as well as their neighbors and friends. The anecdotes make you feel as though you know Jere and share his enthusiasm for his style of gardening that he has turned into a thriving business. 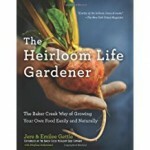 To buy The Heirloom Life Gardener from Amazon.com Click Here.